NRA’S ANNUAL GENERAL MEETING – 28.02.2018. 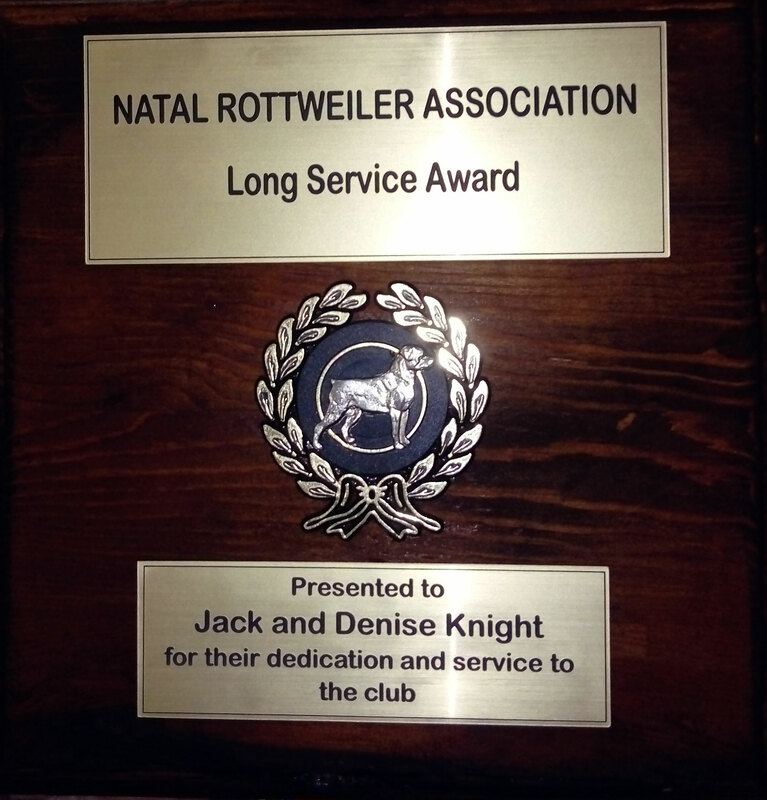 To all the past and present members of the Natal Rottweiler Association. An award we never expected as it was a choice we made to dedicate our lives to a remarkable and unbelievable animal, a breed of canine that has shared our lives for over forty years. We speak of the power and yet gentleness of our beloved rottweilers whom we worked tirelessly for to have them recognised for the wonderful breed that they are. To the many friends we made over the years, like our four legged family who have all crossed over the rainbow bridge, you live on in our hearts and we are truly blessed to still be able to do ‘what we can’ for the NRA. Thank you for your love and friendship and the ‘long service’ award which means the world to us. With love from Jack and Denise knight.